Michael Jennison is Assistant Chief Counsel for International Affairs and Legal Policy at the Federal Aviation Administration in Washington. He began study of the clarinet at age 11. In high school, he played in the Arkansas High School All-State Band and Orchestra. He also played in the Shrine Band in Little Rock. As a senior, he was second chair clarinet in the Alabama All-State Band. As an undergraduate, he played clarinet in the marching band and renaissance instruments in the collegium musicum. During law school, he played in the Lawrence, Kansas musicians’ union summer park band. 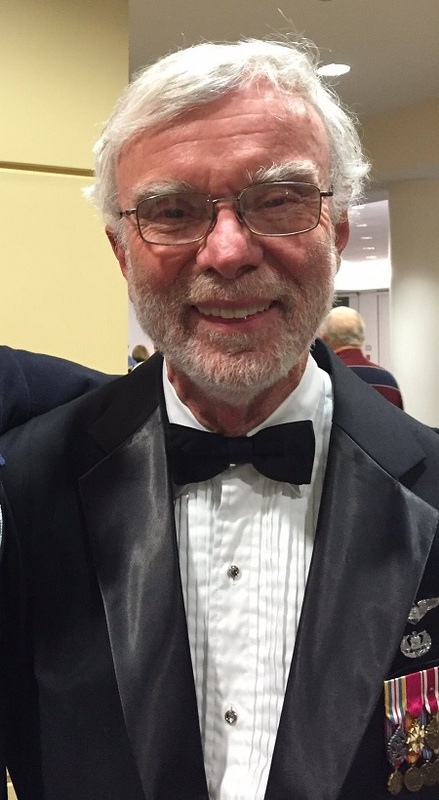 After coming to Washington, he played clarinet in the DC Community Orchestra, the McLean Symphony under Dingwall Fleary, and five seasons as second clarinet in the Georgetown Symphony under John Welsh, where he also played bass clarinet and bassett clarinet. He played productions of Cabaret (doubling on alto sax) at American University and Monteverdi’s The Coronation of Poppea (recorders) with a community opera company in Southwest DC. He has played in the Virginia Grand Military Band since 1998. Michael heads the international law office at an agency of 45,000 people with worldwide responsibilities for civil aviation safety. He represents the United States at the International Civil Aviation Organization (ICAO), were he recently completed a term as the first American chairman of the ICAO Legal Committee since the 1950s. At the FAA, he is (among many other things) legal counsel to a program that audits foreign governments’ compliance with international aviation safety standards. This program has contributed to a steady improvement in air carrier accident rates around the world. Michael previously practiced at the U.S. Department of Transportation, a small Washington maritime law firm, and the U.S. International Trade Commission. Michael is a retired USAF Colonel, with thirty years of active duty and reserve service. He was named outstanding Reserve JAG of the year by both the Air Force JAG Corps and the Judge Advocates Association. Before becoming a judge advocate, he had twelve years of operational flying experience in tactical fighters (the McDonnell Douglas F-4 Phantom II) and transports (the Lockheed C-130 Hercules). He was the first reservist of any component to be awarded the Defense Superior Service Medal, for work as Deputy Legal Advisor to the Chairman, Joint Chiefs of Staff. He also holds the Legion of Merit, the Meritorious Service Medal, and the Air Force Small Arms Expert Marksmanship Ribbon, among other decorations. Michael has a BA in History of Art and a JD from the University of Kansas, where he was on the law review staff, and an MA in Human Relations from the University of Oklahoma. He speaks regularly at conferences and symposia and is widely published.